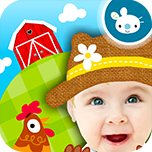 We create highly-rated apps for families all over the world. We love what we do, and we hope you will too. 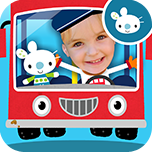 Try our best selling Wheels on the Bus app now for free. 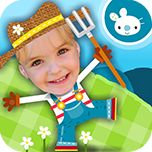 Just download, add your family photos and play! "My daughter squeals with delight at the sound of the app opening." "I LOVE it... 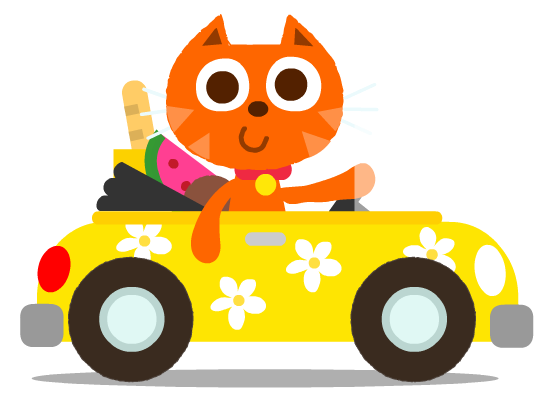 It might just be the cutest app I have ever seen... Period." 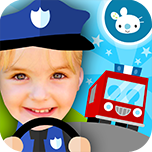 "This is THE cutest toddler app I have ever come across. My two grandbabies love it to pieces." "My daughter... has a blast while developing her fine motor skills." "As an early intervention professional, I love this app!" "I love that you can add pictures and create your own characters." "Brilliant personal touches that engage children in early literacy learning." 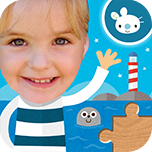 "Thank you for creating something so adorable & educational for little ones." 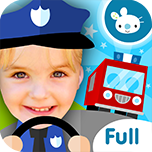 Our pre-school apps have been recommended in The National Literacy Trust app guide, and are used worldwide by early years teachers. These apps are the full paid versions.